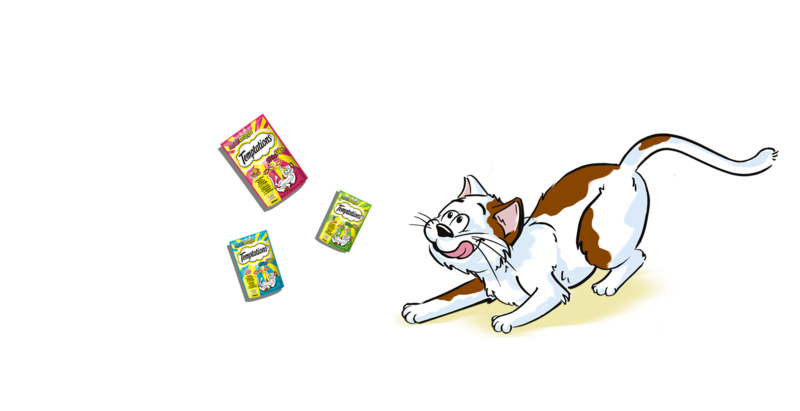 of treats, cats can’t resist! 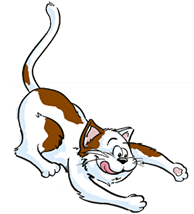 SHAKE, and watch your cat come running. 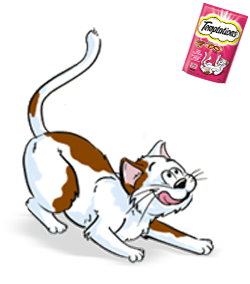 These irresistible treats are little crunchy squares filled with delicious soft centres that cats dream about. 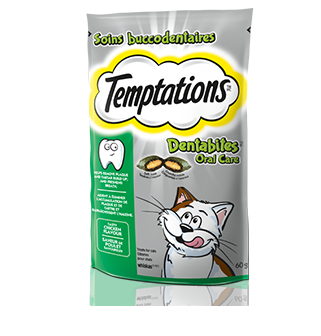 TEMPTATIONS™ is available in a wide variety of flavours to tempt your cat's tastebuds. 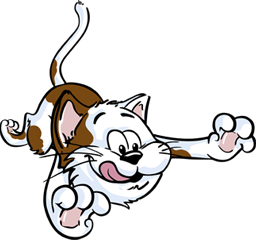 Just shake the bag and your cat will come running. 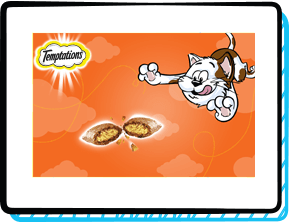 With less than two calories per treat and no artificial preservatives, colours, or flavours, TEMPTATIONS™ treats not only taste great but you can be sure you're giving your best friend the best treats with every SHAKE. 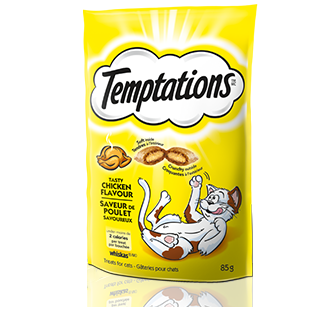 Catch as many TEMPTATIONS™ packs as possible by moving your computer mouse.